For many years our fans have asked for a collection of line art. Now it is available to you! The drawings range from fairly simple to more complex, so there is something for every skill level. 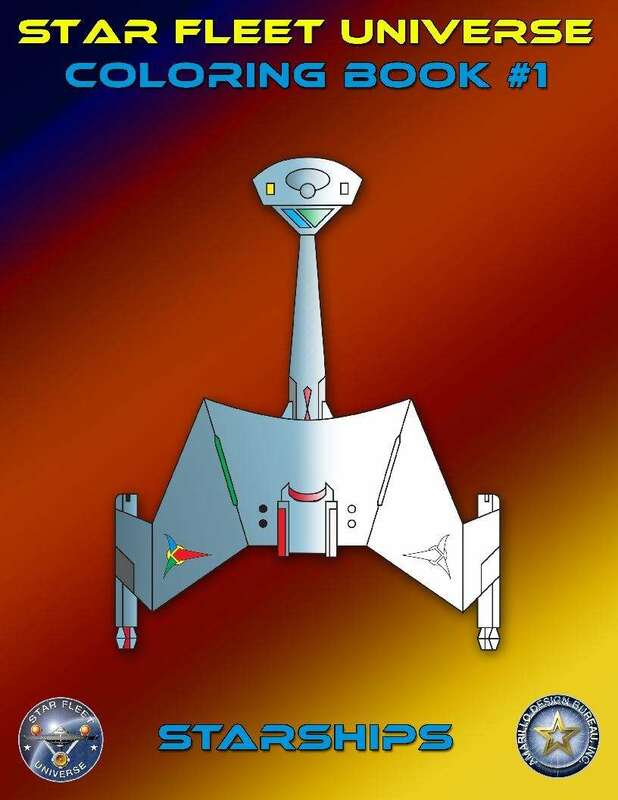 This first book focuses on starships and includes the following starships. Federation: Heavy cruiser, Dreadnought, Light cruiser, Frigate, War destroyer, Police cutter, Battlecruiser, Galactic survey cruiser, Strike carrier (with a dozen F-15 fighters), and Heavy carrier (with F-14 and A-10 fighters). Klingon: C8 dreadnought, F5 frigate, D5 war cruiser, D7 battlecruiser, B10 battleship, D6M mauler cruiser, D7 in battle (includes drones and explosions! ), and T7 battle tug. Romulan: War Eagle, KR battlecruiser, SparrowHawk light cruiser, FireHawk heavy cruiser, KB10V battleship-carrier (with eight Gladiator-D fighters), ChickenHawk gunboat tender (includes three gunboats), Condor dreadnought, and MegaHawk battleship. Tholian: Heavy cruiser, War cruiser, Patrol corvette, Three patrol corvettes in a pinwheel, and Battleship. Also includes a sample ship from each empire showing the “official” colors you would expect to see. However, you can color your ships to be anything you want. Since it is a PDF, you can try anything you want, and then start over if you don’t like it. I bought it, but it won't let me rate or review. Hm. Neat idea. Good price. If I had kids I would get it and get them into the games. This title was added to our catalog on September 29, 2016.